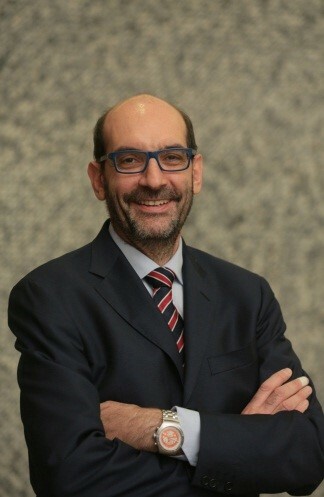 Alberto Papi is Professor of Respiratory Medicine at the University of Ferrara, Italy, and Director of the Respiratory Unit of the Department of Emergency Medicine, S. Anna University Hospital, Ferrara, Italy. He trained in respiratory medicine at the University of Parma, Italy, before spending 4 years in the UK as a Clinical Research Fellow at the University of Southampton, where he is now an Honorary Clinical Lecturer. His department is also home to the Research Centre on Inflammatory and Smoking-related Respiratory Diseases (CEMICEF). Professor Papi’s main area of research is airway inflammation in asthma and COPD, with a focus on the molecular mechanisms and pharmacological modulation. He has a particular interest in the role of respiratory viral infections in stable/exacerbated obstructive lung diseases, and their underlying molecular and immunological mechanisms. Professor Papi has previously served as a member of the Asthma Board of the European Academy of Allergy and Clinical Immunology (EAACI), and secretary of the Respiratory Infections Group of the ERS. He is also a member of the Editorial Boards for the American Journal of Respiratory and Critical Care Medicine, Asthma Research and Practice and the Journal of COPD. He has coordinated several pivotal studies in asthma and COPD, and has authored more than 300 articles in peer-reviewed journals.